The airline has been sprucing up its offerings for its second-biggest overseas market, India, to meet challenges. It was in 1924 that British Airways, then known as Imperial Airways, made its first survey flight to India. Ninety years later, BA counts the country as its second-biggest overseas market after the US. But growth in India has its own challenges. India is not a high-yield market (as average fare charged is lower than other markets for the same distance). The competition is only getting intensified with the Gulf airlines challenging its dominance. BA, though blessed with a enviable heritage, has its task cut out. It seems to have put in place a multi-tiered plan to keep its banner flying high. The immediate step to profitable growth is its deployment of the new Boeing 787 aircraft to Chennai and Hyderabad. The change in aircraft reduces seat capacity (BA Boeing 787 has 214 seats, in contrast to the earlier Boeing 777’s 247 seats) but is geared for cost-efficiency. Not only are these more fuel-efficient but serve point-to-point traffic out of London better and require the carrier to fill less seats for transfer traffic (whose yield, or revenue per seat per kilometre is more discounted than point-to-point traffic). BA flies 49 aircraft a week, twice every day to Delhi and Mumbai, and once daily to Chennai, Bengaluru and Hyderabad. The next stage of its competitiveness will need time. After Kingfisher Airlines, its erstwhile full-service partner, became defunct, BA has been bereft of an Indian ally. A domestic partner usually arms such airlines with code-sharing arrangements to develop a network. The other two operational full-service airlines, Air India and Jet Airways, joined the Lufthansa-led Star Alliance and the Etihad-led group, respectively. Even though there is a third full-service carrier, the Tata Sons-backed Vistara, about to start, BA will need a suitable match. It has stated that it will want to partner with a local Indian airline to develop the hub and spoke operations but the airline’s executive chairman Keith Williams has said recently, “We will see how the market develops over the next two-three years. "It is too early to judge at present”. A hub-and-spoke model brings traffic from multiple regions (a network) on to a central hub before flying them onwards. Besides network-building, local partners also increase the importance of the hub that the carrier caters to. BA has an arrangement with American Airlines for convenient flight options to Europe and the US. BA deploys about 6 per cent of its international seat capacity to India, its second-biggest overseas. It has a seat-capacity share (the number of seats flown) of about 40 per cent on India-Britain routes and has a monopoly on three direct routes -- Bengaluru, Chennai and Hyderabad. But the Gulf airlines not only fly to these but more Indian cities. But BA faces stiffer competition to Mumbai and Delhi (from Air India, Jet Airways and Virgin Atlantic) and does not fly between Delhi-Birmingham (Air India) and London-Goa (Thomson Airways). More worrisome for it is that Dubai has become the preferred hub for Indians to fly to Europe and the US, the travel made easy by the Gulf airlines increasing frequency. For the British carrier, London’s Heathrow Airport is the hub for onwards /transfer traffic. A Centre for Asia Pacific Aviation report says that 55 per cent of total traffic between India and Britain travelled with a stopover at a hub in India or abroad in 2014. Such passengers did not take a direct/non-stop flight. Dubai airport accounts for nearly 16 per cent of such traffic between India and UK. Doha and Abu Dhabi account for five per cent and four per cent respectively. The CAPA report says a large number of passengers that BA carries, fly onwards from London to the US or Canada. “Whereas 45 per cent of the UK-India market is on direct routes, only 10 per cent of the US-India market is non-stop. Air travel between India and the US is dominated by transfer traffic, a much more competitive and price-sensitive segment than for direct traffic,” CAPA mentions. As a result, it is Emirates that leads the India-US market, with BA as the third airline with 12.5 pe cent, behind Air India (13.3 per cent). Refusing to comment on market share, BA highlights the sprucing-up it has done of late. “We now have new aircraft including Airbus A380 and Boeing 787 in our fleet. "We are enhancing our cabins, upgrading lounges, using latest technology to improve services and launching new routes,” says BA Regional Commercial Manager Christopher Fordyce. 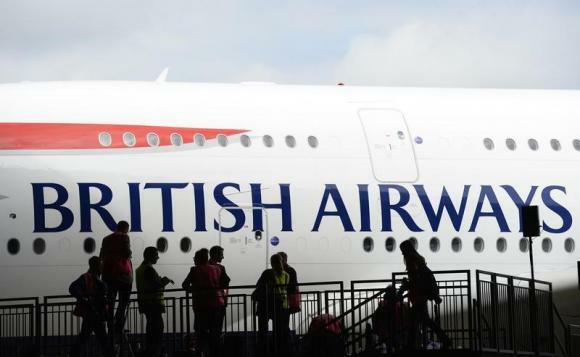 Besides BA has also been carrying out marketing campaigns to connect better with an Indian audience such as its ‘Visit Mum’ campaign. Travel agents say BA’ service remains popular with flyers to both London and the US as it is flexible in offering seat upgrades and waivers on cancellation or date-change fees for its corporate customers. “Until the 1990s, BA was the number one airline for business travellers from India to the US or UK. "It had an elite position and it was considered socially prestigious to fly BA business-class or first-class. "It has had its share of market changes, with the entry of significant players, but is still a serious player with a focus on growth and efficient operations,” says Manoj Chacko, CEO of Kuoni Business Travel. “BA is engaged with India and this is demonstrated by the airline’s India-specific ads such as ‘Namaste. . .the world is waiting’ in 2005 and the choice of Mumbai as the first destination for its its new Boeing 777-300ER aircraft in 2010 (launching new cabins),” says Devesh Agarwal, editor of Bangalore Aviation, an aviation blog. “Often comparisons are made between the European airlines and the Gulf carriers as the Gulf players expand their network and invest in feature-rich aircraft cabins. "But we must remember that Gulf airlines are younger and their fleets are new. European airlines utilise their planes for longer period (so older planes lack the latest cabin features). "Moreover, the Gulf airlines are not bound by legacy labour and financial issues, which are common to European airlines (freeing up funds for investment in fleet and reducing manpower and operating costs),” Agarwal says. With increasing competition, then, BA will have to think of ways to capture the flyer’s imagination and repackage its legacy.